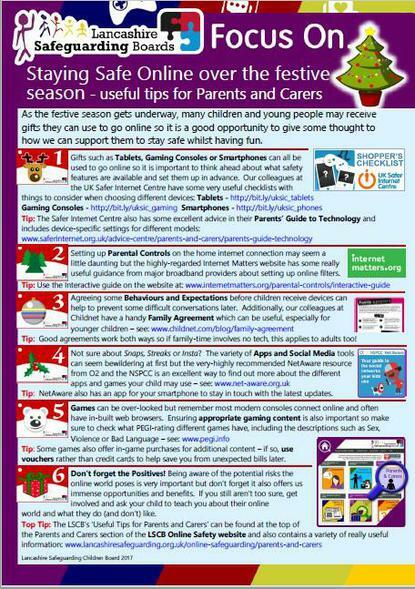 As many children and young people may receive ‘connected’ gifts over the festive season, the LSCB team have provided our school a useful guidance sheet to support Parents & Carers. Please look over the below document, which covers topics such as setting up parental controls, games, apps and expected behaviour. The document includes many useful links to further information. If you would like any further advice or support please contact the school, we are planning on hosting a online training sessions next term, which will be available to all parents. Have a lovely safe, festive holiday.